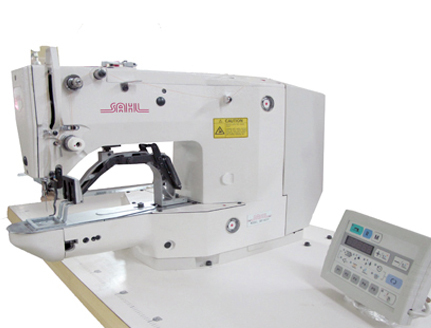 With its 30mm (length) by 40mm (width) sewing area, the machine can sew many different shapes of bartacks. 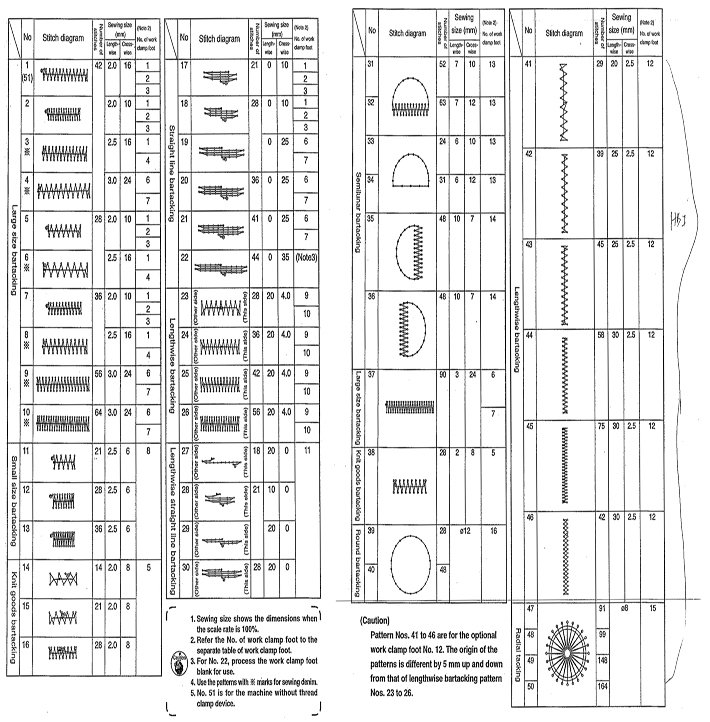 The machine is provided as standard with as many as 50 different types of sewing patterns including semi lunar bar tacking, round bar tacking, radial tacking as well as conventional bartacks. New model SAHL-1900AS can reach 3000 RPM which is 300 RPM higher than the common ones.